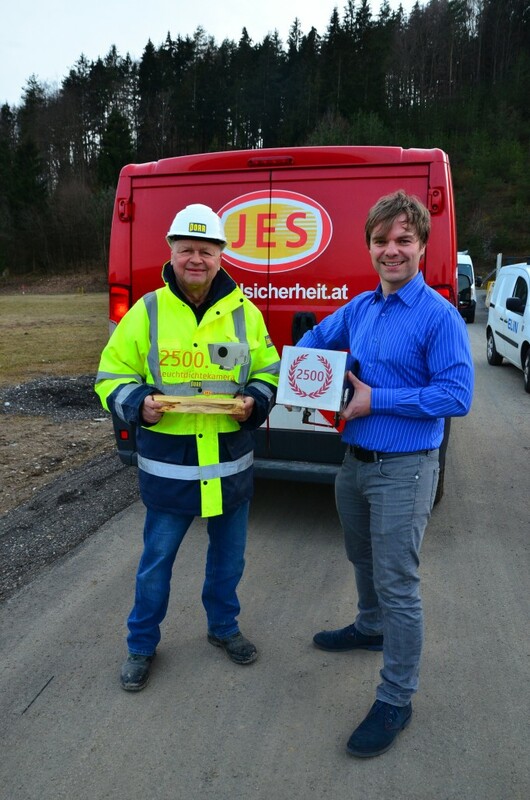 Big celebration at JES: today we handed over our 2500th luminance meter. 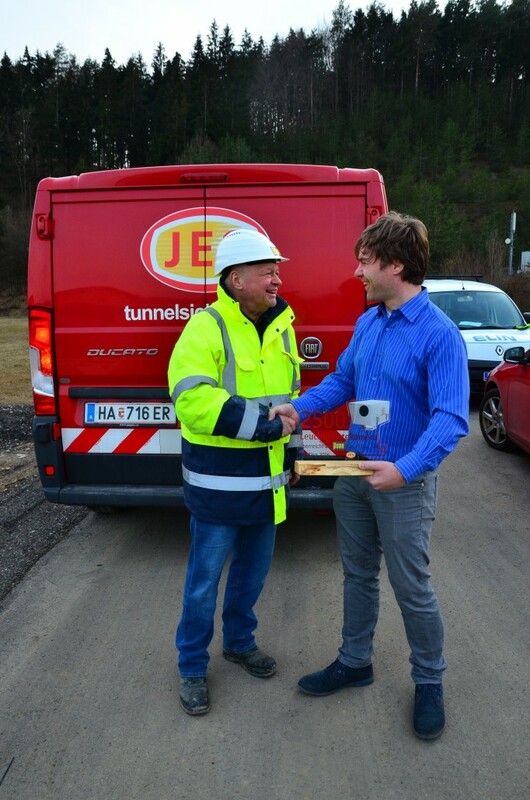 The 2500th JES t/LUM luminance meter is a 2 output channel t/LUM-A2 in stainless steel for the threshold zone and will be installed in the Tunnel St. Niklas on the A11 Karawanken Autobahn shortly. The luminance meter has been handed over by JES managing director René Jung to Peter Hejeck of Porr. Mr. Hejeck is the project manager responsible for the electromechanical equipment of the tunnel. The Tunnel St. Niklas is currently undergoing modernisation. Contractor for the construction works is Teerag-Asdag, the electromechanical modernisation is carried out by Porr.